Starting your own business is a massive undertaking and involves numerous tasks. Because all entrepreneurs are gifted in different areas, they tend to excel at some of these tasks while making mistakes in others. Sometimes, specific parts of managing a startup get neglected because the entrepreneur is not confident or is too busy to handle them. If you are unveiling a startup soon, you need a well-stocked toolbox of skills and resources to help make your endeavor a success. 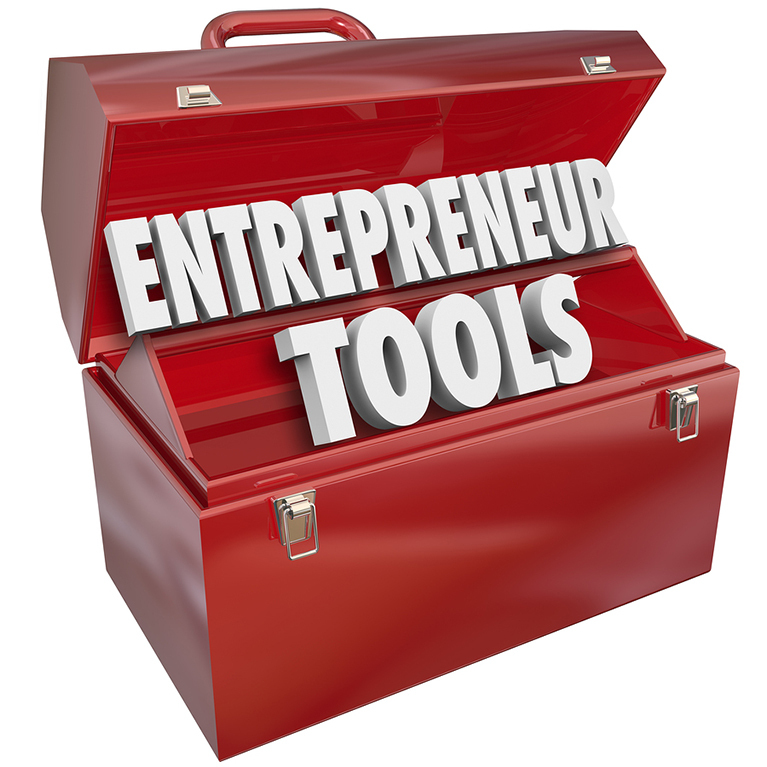 We’ve gathered some of the things no entrepreneur’s toolbox should be without, and we’d like to share them with you. In order for your business to work, you have to analyze all of its different aspects. You’ll need to determine who your core audience is and what they need from you. Moreover, you must evaluate how your product will provide a better service to your customers without spending too much time evaluating what competing companies offer. For example, pretend that you own an auto supply and mechanic shop. You might know your core customer base are people who need their vehicles repaired or would like to do those repairs on their own, but how do you find them? How do you stay engaged with them on social media? How do you keep their data and yours organized and secure? Analytics services will help with all these questions and more. Some analytics are “all-in-one dashboards” that separate reams of data into easily accessible groups. Others are built especially for social media engagement, so you know which of your posts, pictures, and tweets are getting the most feedback and how to capitalize on it. Other sites, such as WooRank or Google Analytics, will rank your website based on its Search Engine Optimization (SEO). These services keep customers from seeing duplicate hits when they search for your business on the internet. Additionally, they can alert you to problems like outdated content and broken links. Today, most businesses have a blog. Those that do not usually don’t garner the attention they need to stay relevant. If you’ve never had a blog before, consider starting one. Blogs can be used for many different purposes (e.g., keeping internet users updated on sales and specials, writing posts about topics that interest you and your customers, or simply having fun using lighthearted posts, photos, or videos). Experts recommend blogging platforms like WordPress, Wix, and Joomia. Wix, in particular, has a website builder in addition to a blogging platform. These platforms and others like them have free services, but it’s good to upgrade to paid premium services if you are able. Premium services afford you perks like more background options and more room for links and other content. Some even offer SEO tools to maximize your presence on the web. Blog about many different topics. Just because you are an IT service doesn’t mean every post should be about cloud-based internet security or IoT development. Find out what interests your customers and employees, even if it isn’t directly related to the field and blog on those topics. This keeps customers interested and sends the message that you care about topics other than those limited to the scope of your specialized field. Avoid big blocks of text. Of course, a blog post should probably have some text. Yet, don’t be afraid to mix things up with a video, a set of photos, or a podcast now and then. Break text-heavy posts into short paragraphs for easy readability. Archive old content often. This is especially true for date-specific content, like posts you wrote specifically about Christmas. If it sits on your blog too long, old content may negatively affect your SEO, so be vigilant and consistent. You can have the best website and blog on the internet, but if you don’t have an overall plan, your business may not survive long. Before starting a business, you need to know your overall goals for it, and what it will take to reach them. For example, how much money do you expect to make in three months, six months, or one year? How many employees do you want to hire, and what positions will they hold? What kind of inventory will you stock, and how much will it cost on average? Banks, investors, and prospective customers need these answers before investing. Of course, writing a full business plan is a daunting task. Depending on your business and its goals, you may need a significant amount of information, which can be difficult to organize. That’s why many experts recommend using business plan software or turning to business plan websites as a guide. Palo Alto Software, for instance, guides you through writing a plan from scratch. Business Model Generation is a similar software option that helps with canvassing. Many people are drawn to businesses and their websites for the same reasons. The website is user-friendly, the business itself is unique, and the design of both is colorful, fun, or particularly useful. In order to draw in customers, your business needs the right design, inside and out. Let’s say you’re the owner of a startup coffee shop. Ask yourself: what draws you to existing coffee shops? It might be the drink selection or the fact you can get a hot meal from one particular shop instead of just coffee and a pastry. It might be the comfortable seating and soothing atmosphere that invites people to read, work, or study in the shop. It might be that the coffee shop is different from the rest – maybe their colors are brighter or they play rock music rather than classical or jazz. Whatever the answers to these questions are, they will influence how you design your own startup. However, elaborate design plans don’t usually get off the ground without help. You may need to create the perfect logo or letterhead, or you may need to hire a designer to assist you in renovating an old business space. Several options exist for these and other needs. Withoomph and Canva are two businesses that create logos and photos, while 99 Designs can connect you with professional designers whose ideas might spark your own. Often in the business world, numbers are your friend. This is never truer than when you’re launching a startup. You’ll need statistics of all kinds, whether they’re related to how many businesses offer certain products or services in your area, or what the population of your area looks like. All these can affect a business for good or bad. For example, if you want to start a tutoring service for elementary kids, you probably won’t get many clients in an area with a large senior citizen population. Go to sites like FedStats or the U.S. Patent and Trademark Office to learn what you need to know.